SKU: Jericho-10998. Category: Cosmetics. Tags: Active, dead, mask, minerals, mud, sea. The Natural Mud Mask with active Dead Sea minerals absorbs excess oil, accelerates cell renewal, clears blackheads and rejuvenates the skin. Additional aromatic Lavender and Avocado oils create calming and soothing effects while moisturizing the skin. 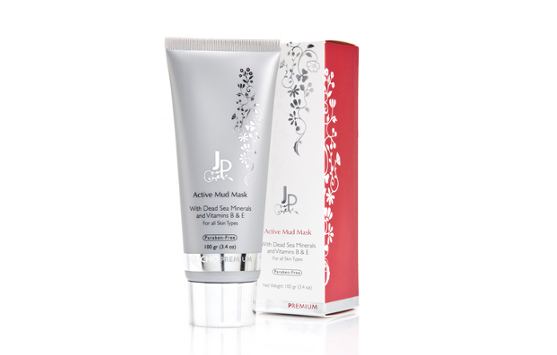 Dead Sea Active Mud mask is highly effective in tightening sagging skin on the face and neck area, reducing the appearance of large pores and softening fine lines and wrinkles. Use on a weekly basis to keep your skin looking smoother, healthier and tighter, or use as quick fix before important events to get a more even tone and silky looking skin. Copyright © Paradissee 2014. All rights reserved.